Keep your Canik TP9SA 9mm well-fed with this 18-round Canik TP9SA Magazine. 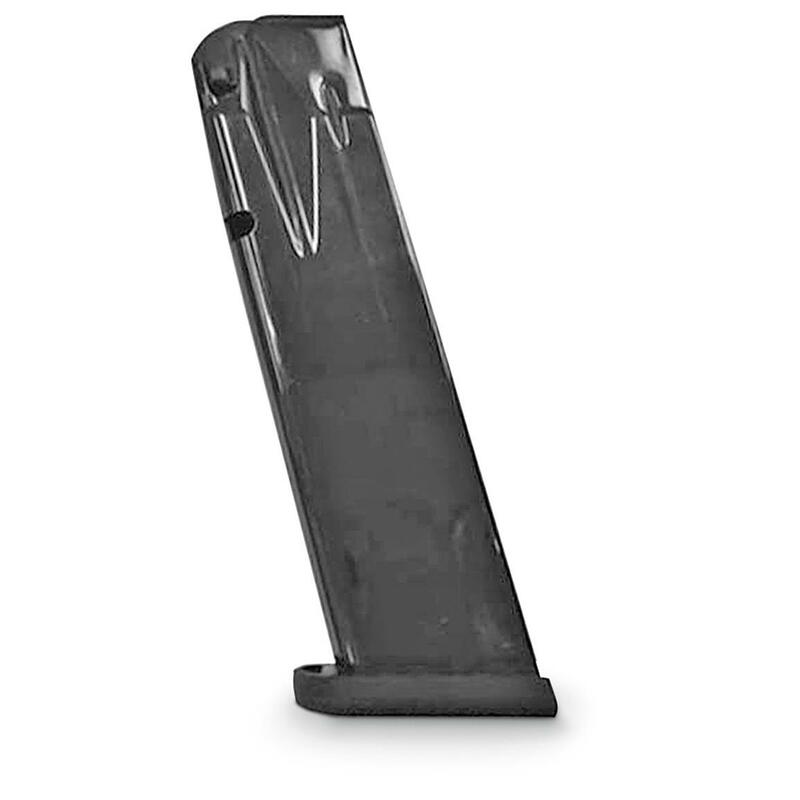 This is a standard OEM factory replacement magazine, so you know it will function flawlessly. Century Arms Canik TP9SA, 9mm Caliber Luger Magazine, 18 Rounds is rated 4.9 out of 5 by 28. Rated 4 out of 5 by JTwig from Look Great I haven't had the chance to use them, but they are the same manufacture as the magazines that came with the firearm. They appear to be the same quality, and I foresee no problems with them. Rated 5 out of 5 by mustang2 from great price Identical to mags that came with the gun. Worked great with no problems. Rated 5 out of 5 by Sunny from Fits Canik TP9SA, TP9V2, and TP9SF Original Italian made MecGar magazines. Gloss blued, NOT matte finish. Rated 5 out of 5 by HANK from fits and works perfectly. this is the original metgar mag. Rated 5 out of 5 by kenno25 from Fits fine This mag works great and now I'm gonna try the 20 round version. Rated 5 out of 5 by Fidelis from Good price and excellent fit Magazine fits my Canik TP9SFx perfectly. No issues on firing (as yet). Will probably be buying more. Rated 5 out of 5 by Aleks from Nice Bought one for my Walther PPq M2. Good fit. Very happy. Factory new and built for your Glock!